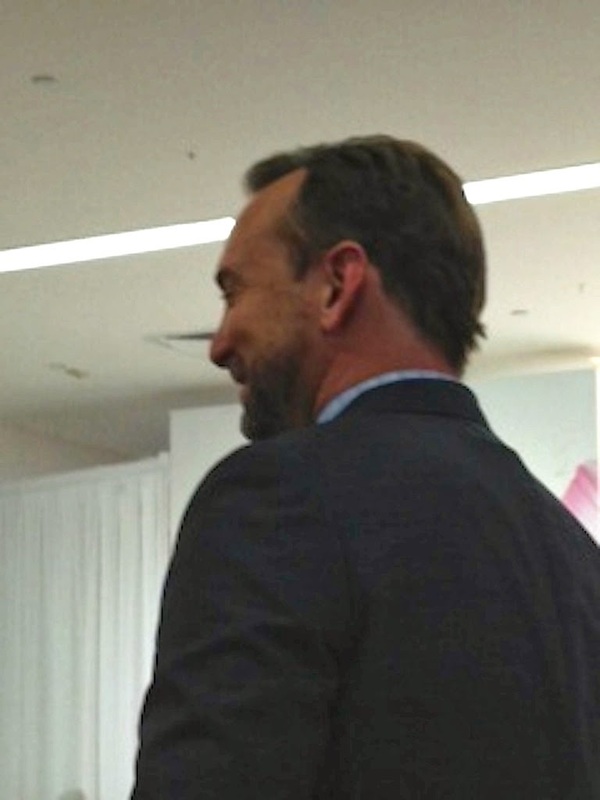 Yesterday I was about two feet away from one of my fashion idols: Clinton Kelly. Some of you might know him from the TV show What Not to Wear and The Chew. I grew up watching Clinton (okay, I started watching him when I was in high school) and I always loved his no nonsense yet compassionate approach to helping the fashion impaired see the light via his makeovers on What Not to Wear. 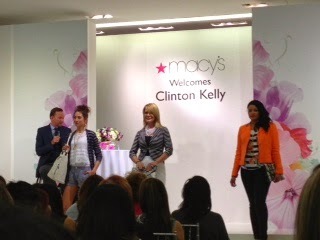 When I heard last week that Clinton Kelly was coming to a Macy's in the L.A. area for a fashion show I was thrilled to check him off my "celebrities to meet" list. 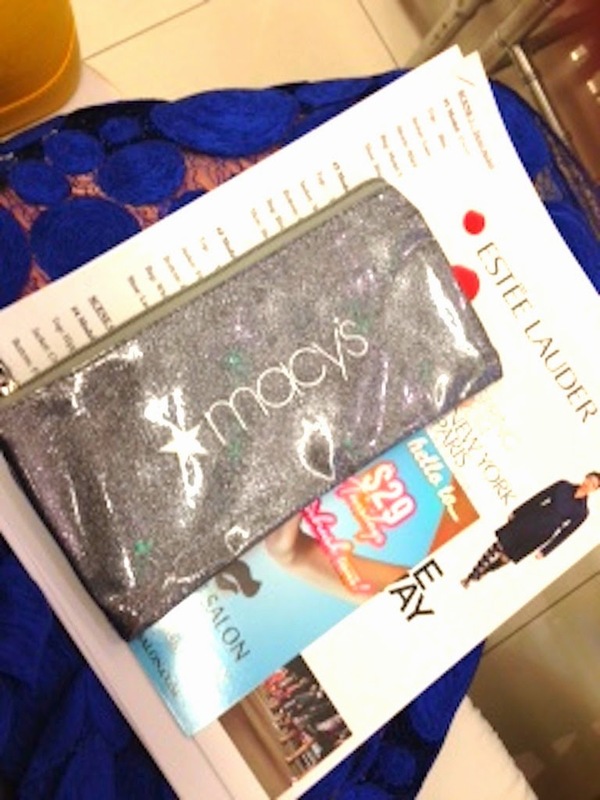 (Tim Gunn you're next!) The biggest dilemma was figuring out what to wear. 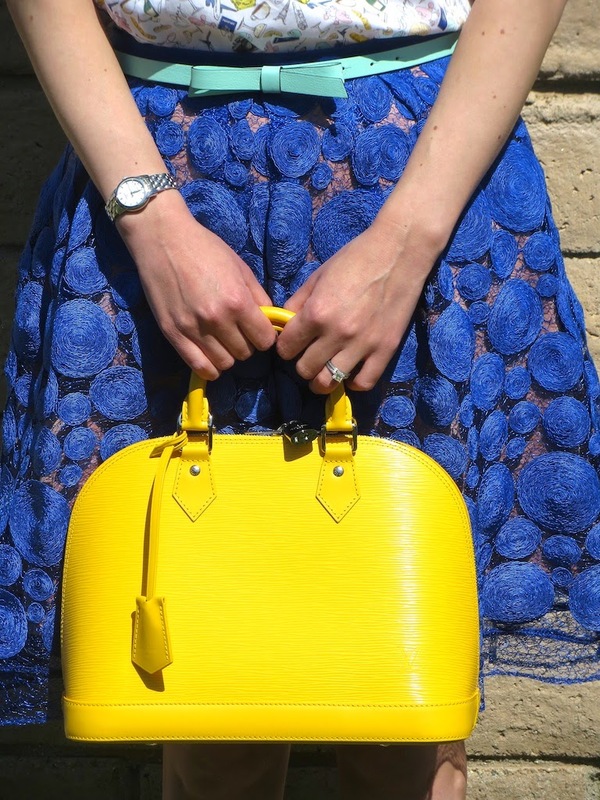 I wanted to look chic so I wore this J. 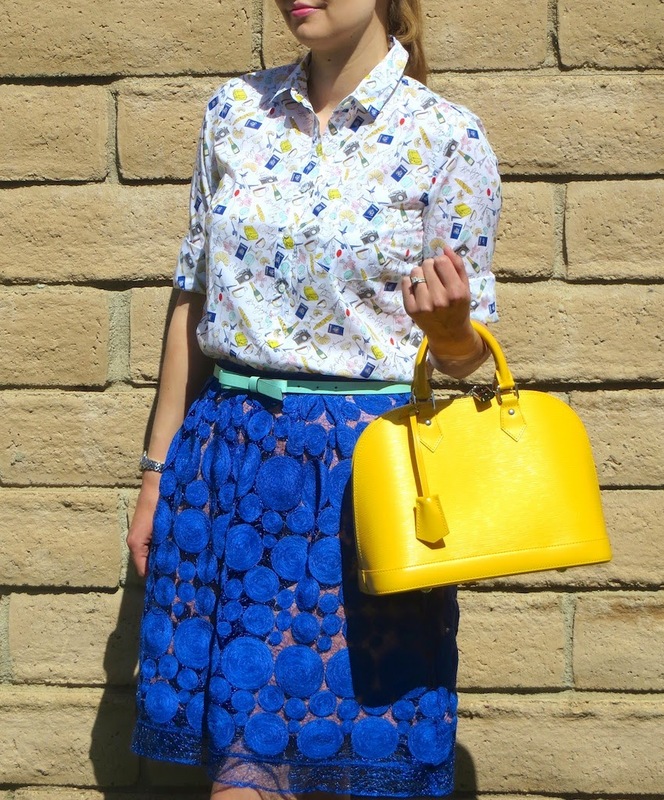 Crew French print popover with my Eva Franco Albastru skirt from Anthropologie. After I got home from the show I thought, "How stupid! Clinton is Irish (Kelly, duh? ), so why did I wear a shirt with a bunch of French things on it?" Plus it's almost St. Patrick's day, not Bastille Day! 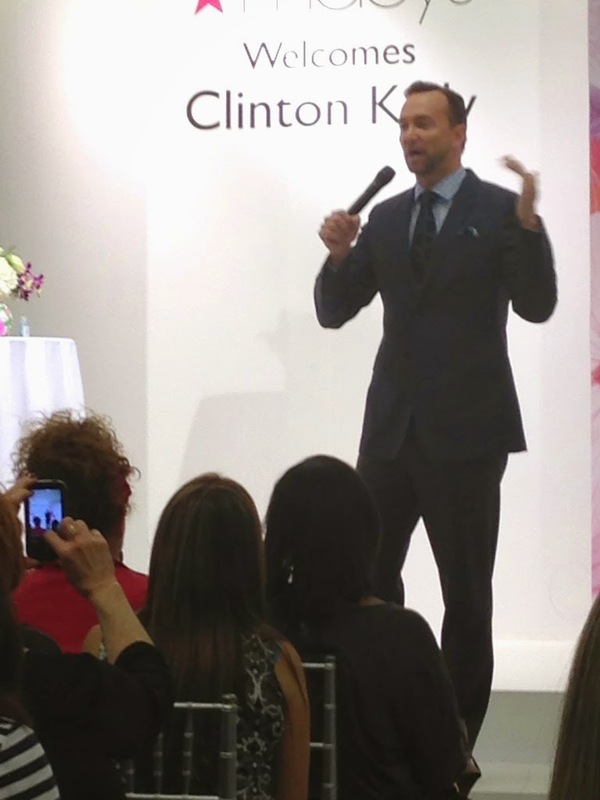 Well, my dream of Clinton Kelly whisking me on stage and complementing me on my outfit didn't happen, but I was sure glad to get to see a fashion show hosted by him. Below you will see some shots from the show that I took with my iPhone, which explains why they are a bit grainy. It was a nice affair with virgin mojitos and hors d'oeurves before the show. Clinton dispensed some good advice to audience members and offered up a side of humor as well. I learned a few things from Clinton yesterday. Most importantly, I realized I should go for a bra fitting to make sure "the girls," as Clinton refers to them, are in place. I also liked Clinton's motto of "wear something cute and don't take any crap." 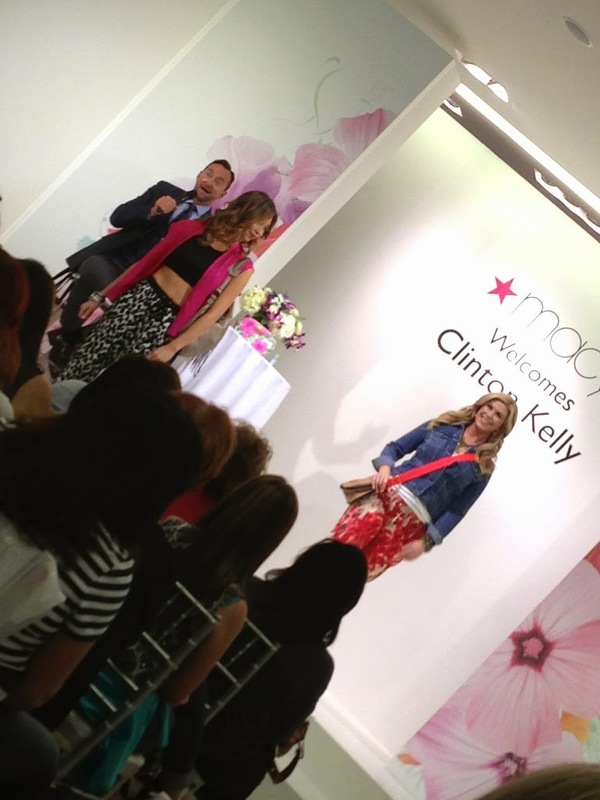 Clearly, Clinton is not just great at fashion advice, but life advice! Thanks Clinton for wonderful afternoon! 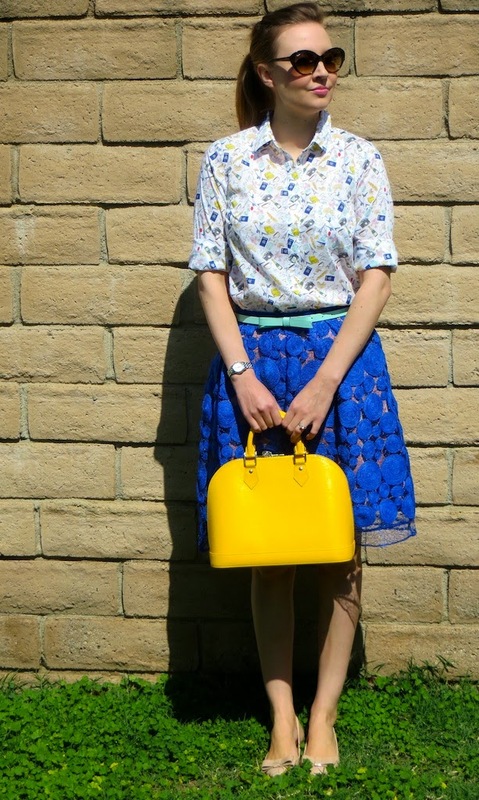 It's a size 2, my normal size in J.crew blouses and button-downs.